Netflix has grown every year since Reed Hasting apocryphally blew a gasket at a $40 late charge when returning a copy of Apollo 13 to Blockbuster. In the 20 years since, Netflix has pushed Blockbuster out of business, and now reach 117 million subscribers in over 190 countries worldwide with a market cap of $116 billion. And all that revenue starts with a decision in one place: the Netflix pricing page. 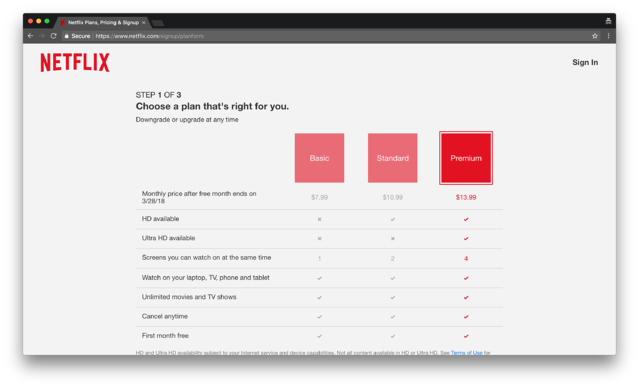 In this first edition of Pricing Page Teardown, Patrick and Peter dive into the Netflix pricing page. Not only are they looking at the page itself, but we've collected data from 4,532 Netflix subscribers from around the globe on what they are truly willing to pay for Netflix and what they really care about from the service. Does their pricing page live up to the hype? Let's dive in with Patrick and Peter and find out! 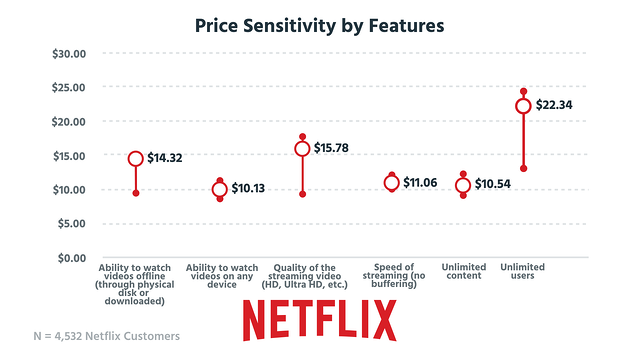 Like most consumer products, the pricing at Netflix errs on the side of simplicity. They don't have the pricing upfront, when you do click through the page is super clean, and all the price points pull the magic .99 trick. This works for retail, but the data is inconclusive for B2B. Netflix has three plans: Basic, Standard, and Premium priced at $7.99, $10.99, and $13.99 respectively. The main concept to notice about the Netflix pricing page design is that there is little differentiation. All users, whether paying $7.99 or nearly double that at $13.99 get all the content on Netflix. They all get a free trial, can all cancel when they want, and all watch on whatever device they want. 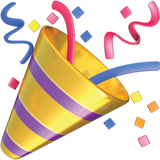 Quality—The Basic plan only offers standard definition. The Standard option allows for HD watching, while the Premium plan allows what Netflix call Ultra HD (which seems to mean 4K streaming when available). Number of users—The Basic plan is only for a single user. The Standard plan allows for two simultaneous screens, and the Premium up to four. The simplicity of the page works on one level, but it also leads to its main criticism—a lack of information. As Peter puts it, “What the hell is Ultra HD?” The page doesn't say. There is no link to find out, or even a tooltip to give some numbers and context. Unless you know beforehand, are you going to sign up for that Premium plan? Or is that just an anchor to make the Standard the more reasonable option? The other design choice that hits understandability is the highlighting. It looks cool, but doesn't really make it entirely clear what plan you've chosen. To pay for all that original content, Netflix hiked their prices at the end of last year. The Basic plan stayed the same, while the Standard plan went up by $1 and the Premium plan went up by $2. Every Netflix subscriber took the hit. There was no grandfathering in. You got a warning that your plan would increase at least 30 days before though, giving anyone who couldn't deal with the increase a chance to cancel. But the increase was small and with Netflix increasing production of original content, most users know that the service is still a great deal. 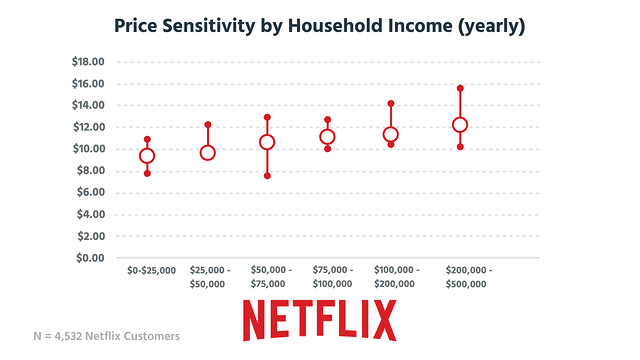 In fact, the data shows that Netflix knows it's customers. Our survey of 4,532 Netflix customers shows that Netflix is spot on with the pricing of the middle tier. The median overall price sensitivity of these customers is $10.99. But the overall is less interesting than the breakdown by cohorts. Most consumer products see a much greater inflation as you move up income brackets. But the Netflix sensitivity is almost flat. The median for someone on $25,000 is only $3 less than someone earning ten times more. This puts strict bounds on the pricing strategy Netflix can employ. There is no option of a super-premium “Netflix for the stars.” They do have some room to move, but, not considerably. People with lots of kids are willing to pay more. At the 3 children mark, it looks like Netflix goes from nice-to-have to family essential. People in this range are willing to pay closer to $15 for the chance to plonk their children in front of the hundreds of possible kids shows available on the streaming service. No doubt Netflix also comes in handy for these people in what little free time they have once the kids are in bed. "Why doesn't Netflix segment on content for kids versus content for everybody else?" Action and documentary watchers might pay a little bit more than others if that was a specific tier, but this would make Netflix more confusing and less appealing to the general audience. Even if you do watch gritty documentaries ninety percent of the time, sometimes you also want to watch Bridget Jones Baby. This just isn't where they can make their money. Where they can make money is in localizing their pricing better. The pricing is different between different countries. But our data shows that their pricing in certain countries is out of sync with the willingness to pay in those countries. They are leaving easy money on the table. 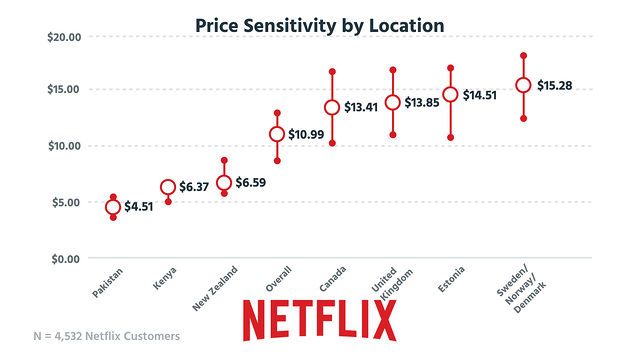 In each of these countries, Netflix is charging substantially lower than the market will allow. People in these countries want Netflix bad and are willing to pay. They might not have other streaming services to turn to, so Netflix don't have the same market battle as in the US. This is a pricing technique where B2B leads over their consumer brethren. Even small steps such as changing the currency symbol depending on the location of the visitor to your pricing page will allow you to capture more of the willingness to pay in markets that have a higher WTP than the US. And if you are reading this in Canada: you guys are getting an immense deal with Netflix! 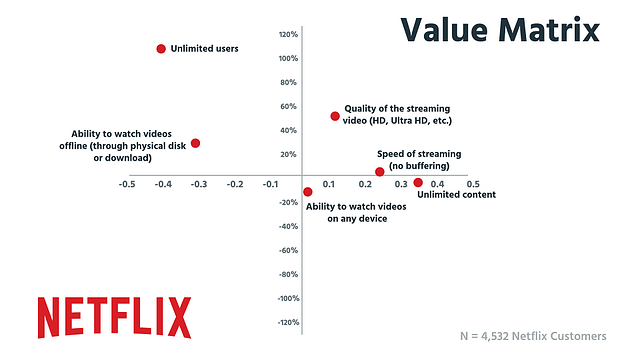 It could be that Netflix subscribers are already anchored to device availability, speed, and unlimited content so don't value these highly (unless they were to go). 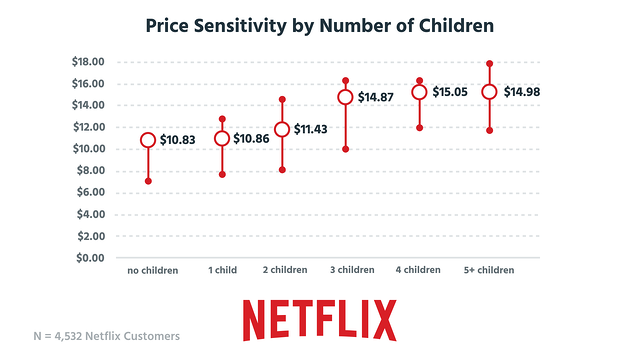 But the lesson from the data is clear, Netflix is segmenting their pricing along the correct metrics. The willingness to pay for “Quality of the streaming video” and “Unlimited users” is extremely high. A lot of Netflix subscribers want high quality streaming and are willing to pay for it. This should be the main segmentation feature for Netflix. But the “unlimited users” hovering up there in the top-left offers another opportunity. 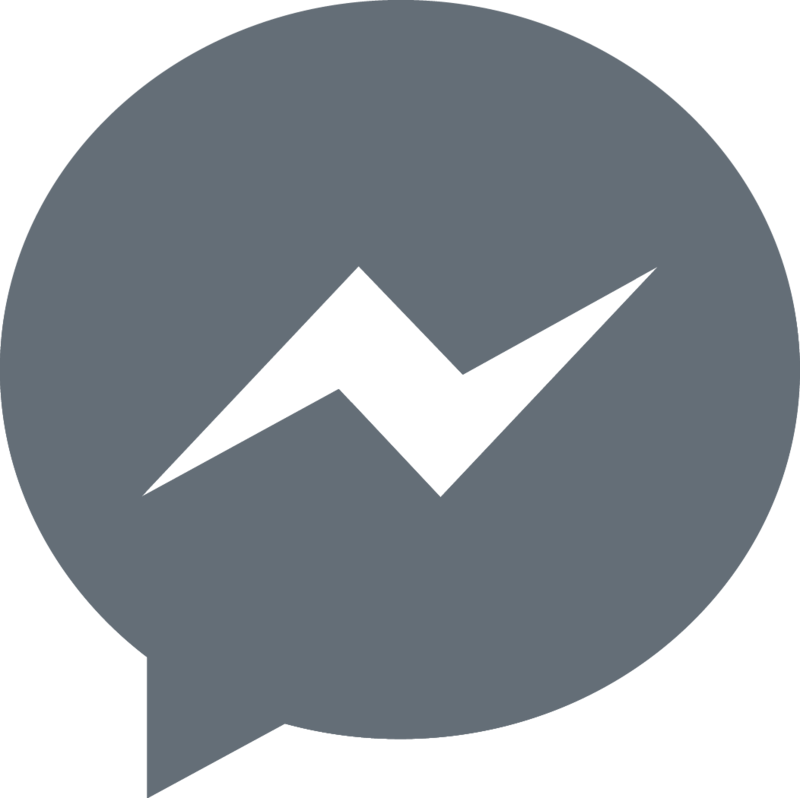 Its position means that a small number of people are willing to pay a lot more for this feature. This makes it a prime premium tier opportunity. Remember, a “small number of people” in a 117M user base is still a lot of people. Adding just a few dollars to their monthly subscription equates to millions of dollars of extra revenue per year. The dollar boost could be massive. Netflix is one of the pioneers of the subscription economy, and they have built an incredibly successful and profitable company off the back of it. Their pricing goes to show that you can keep it simple and still achieve great things. Just because they are so successful, doesn't mean they should stop experimenting. 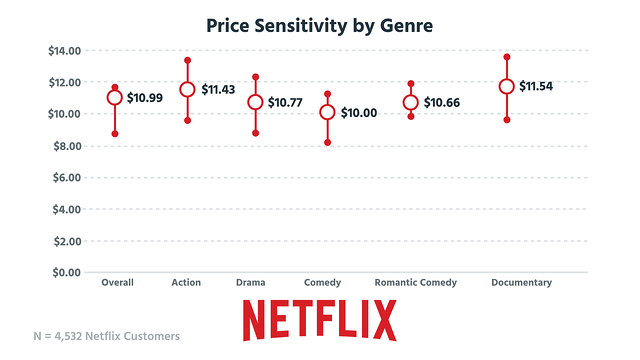 Our data show that there are still plenty of opportunities for a better pricing strategy at Netflix. One that takes into consideration what their subscribers are truly willing to pay of the service and select features. 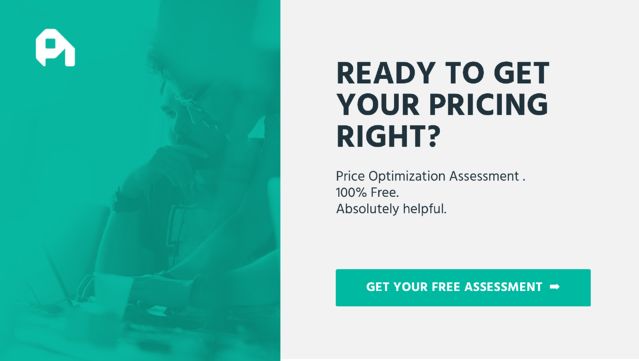 Localize your pricing. If you have more than 10% of your customers coming from outside of your locale, you should be localizing. Start simple. Collect some basic data, and start by changing the currency symbol. Don't play with your packaging, just offer a price that these local markets can support. Get started collecting willingness to pay data. We have no doubt Netflix is doing this, but every company, big or small, consumer-focused or B2B, should search out this data. You want to understand what your customers really value about your product and what they will pay more for. From their you can build a pricing strategy that truly reflects your value. The takeaway from Netflix is that simple works if you have a great service. The takeaway from this teardown is don't be afraid to run the numbers and don't be afraid to experiment with your pricing. Next time the teardown won't be quite so simple—it is the B2B behemoth itself: Salesforce.